The mahout system of Myanma Timber Enterprise (MTE) elephants is rapidly changing. Our team the University of Turku in Finland and MTE veterinarians found that current mahouts are only 22 years old on average, with an average experience of 3 years working with elephants, and they are changing elephants yearly preventing the long-term bonds between elephants and mahouts from developing. 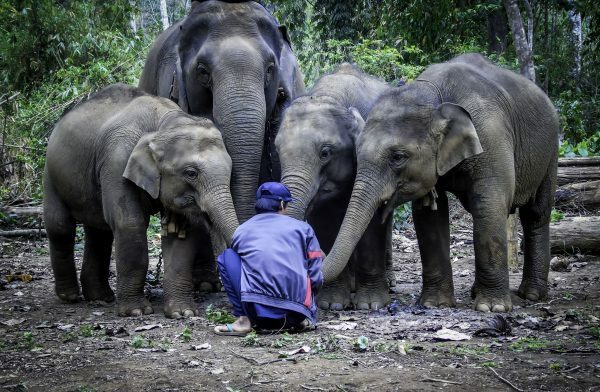 These shifts contrast the assumed traditional elephant-keeping system of skills being accumulated over a lifetime of working with the same elephant and passed on through observation to the younger generation. Asian elephants are endangered, but remarkably, around one third (~15,000) of the remaining Asian elephants in the world live in semi-captive conditions, cared for by handlers known as mahouts. Expert knowledge of mahouts accumulated over many generations is of great importance to handle these giant, essentially wild animals. However, this knowledge transfer is now threatened: recent societal changes in countries across Asia have affected the traditional mahout system. Myanmar, with the largest semi-captive elephant population of ~5,000, has been thought to be one of the last strong-holds of traditional mahouts and their expert knowledge. Researchers from the University of Turku, Finland, together with MTE veterinarians investigated how the recent political shifts in Myanmar coupled with increased urbanisation and improved access to technologies, may have impacted the traditional mahout profession. The researchers interviewed experts with long-term careers working on elephant-keeping in Myanmar, as well as over 200 current mahouts employed in MTE. The study discovered profound changes within the mahout system in Myanmar that may affect elephant welfare and warrant further research. Mahouts today are younger, less experienced and spend less time in the job than in the past. The study also found a reduced traditional family connection to the profession. 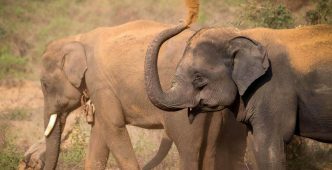 “Although almost half of the mahouts we interviewed had a family member also working with elephants, it seems that this link could decline further in the future, with few mahouts wishing their children to follow in their footsteps, especially the younger generation” says PhD student, Jennie Crawley, lead author of the study. “It is really important to conduct further research to understand how these changes may impact the welfare of elephants, as frequently changing mahouts with little experience in the profession may increase animal stress and risk of injuries. Our findings already allow MTE to take steps to ensure there are no negative impacts for the elephants or for the mahouts working with these huge animals” adds Professor Virpi Lummaa, the senior scientist involved in the study. Monitoring implications for the mahouts is particularly important: “less than 20% of the mahouts we interviewed had spent any time as an apprentice before being paired with their own elephant, despite the 2 year recommended learning period, which could have implications for both the mahouts and the elephants” continues Ms Crawley. 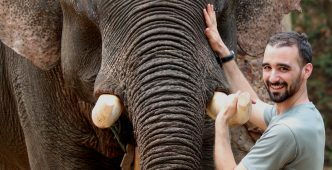 One important finding was that despite these changes, a significant majority of experts thought that elephant treatment is better now than in the past, often attributing these improvements to “more techniques and training” reflecting well on MTE elephant care. The research team hopes future studies can shed light on which parts of the country are affected most, and where mahout training and support is most needed to improve the co-living of both elephants and their dedicated caretakers. 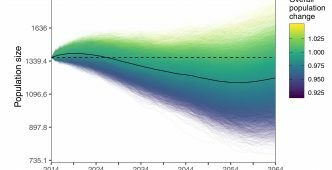 This article is under embargo until 31st January 2019, 3pm Eastern Time (US), at which time it will be freely available in the journal PLOS One. More information is available on the website http://elephant-project.science/ or from Jennie Crawley, jahcrawley1@gmail.com.